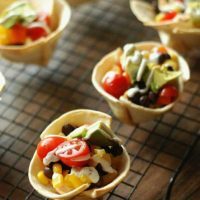 These Mini Taco Tortilla Cups are packed full of black beans, veggies and a taco flavored cream cheese! These mini bites make an easy meal or a fun appetizer! No more school lunches!! Well, until August that is. No more baggies or stinky lunch boxes, hallelujah! I’m going to go out on a limb here and say that my kids are probably relieved here too. There’s something liberating about knowing you can eat whatever you’d like for lunch and at whatever time you’d like to eat it! My glee faded rapidly when I realized that ultimately this means more ’round the clock dishes for me. I had to do something about that. So these tortilla cups happened. Cute, huh? Pretty easy too. Tortilla’s packages seem to accumulate in our refrigerator so I cut a few up and nestled them neatly into muffin tin cups. 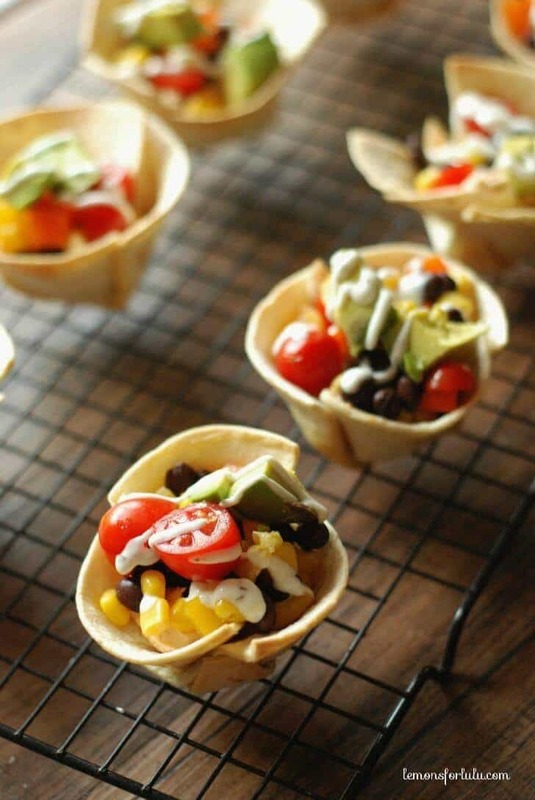 With the kid’s tastes in mind, I mixed a little cream cheese with taco seasoning, threw in lots of veggies and drizzled these mini taco tortilla cups with a little ranch dressing. The KIDS think they are irresistable. Heck, I think they are irresistible! I’ve always been a sucker for mini foods. 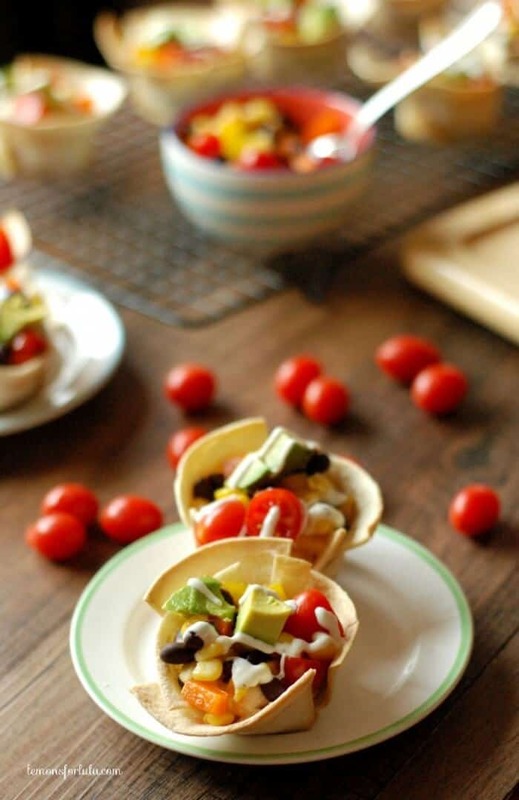 These mini tortilla cups are the perfect self contained, grab and go little lunches. Less clean up for me, more veggies for them. I’m one happy mamma! I created this kid friendly mini taco tortilla cup in an effort to bring awareness to Produce for Kids and their efforts to bring education to families about the benefits of healthy diets and with the help of Meijer, they hope to raise money for The Children’s Miracle Network Hospitals. The Children’s Miracle Network Hospitals® raise funds for 170 children’s hospitals across North America, which, in turn, use the money where it’s needed the most. The funds raised have gone to support research and training, purchase equipment, and pay for uncompensated care, all in support of their mission to save and improve the lives of as many children as possible. I love this Get Healthy, Give Hope Campaign. I have always made good nutrion for my family a priority. While I certainly indulge my kids in cupcakes and cookies, laying a strong foundation for my kids that includes a love for fruits, vegetables and a variety of foods is critical for their growth. Produce for Kids® strives to bring the produce industry together to educate people like you and me about healthy eating with fresh produce. At the same time it raises funds for local children’s non-profit organizations. Since its creation, Produce for Kids has raised more than $4.8 million to benefit kids. To learn more about Produce for Kids and healthy eating, visit www.produceforkids.com,Facebook, Twitter, Pinterestor Instagram. Each time you visit your local Meijer until June 21st, be sure to add a few extra apples and carrots to your grocery cart. 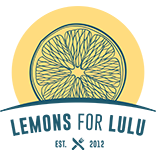 Donations from fruit and vegatable suppliers will be made where it is needed in your own community. For more details, including a list of brands supporting this initiative visit the Produce for Kids website. I have received some compensation for this post. I do believe a healthy diet is important for everyone and would have posted this information regardless. Preheat oven to 375. Spray a 12 cup muffin tin with cooking spray. Cut each tortilla quarter in half. Line each muffin tin with three tortilla triangles, overlapping as necessary. Bake for 10 minutes or until golden. Let cool in pan for 2 minutes before removing to a rack to cool. In a small bowl, combine cream cheese, taco seasoning and Greek yogurt. 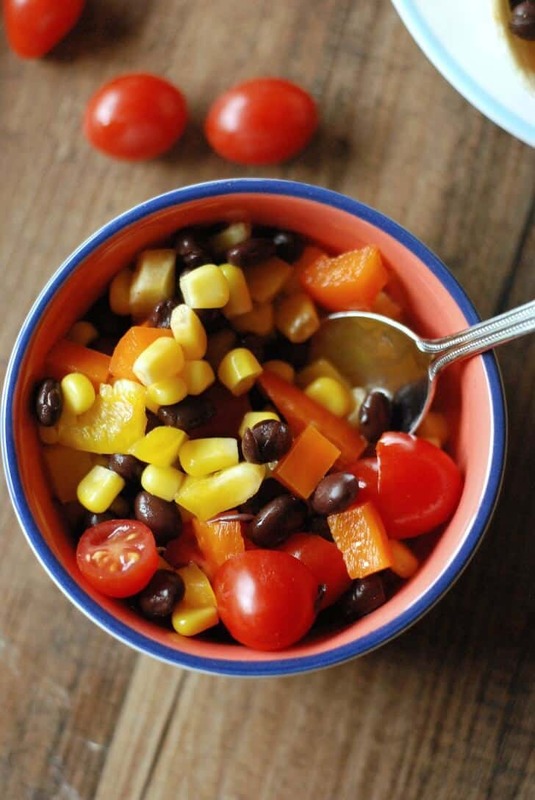 In a separate bowl, combine vegetables. Place a tablespoon of cream cheese mixture in the center of each cup. Top with vegetables and drizzle with ranch dressing. 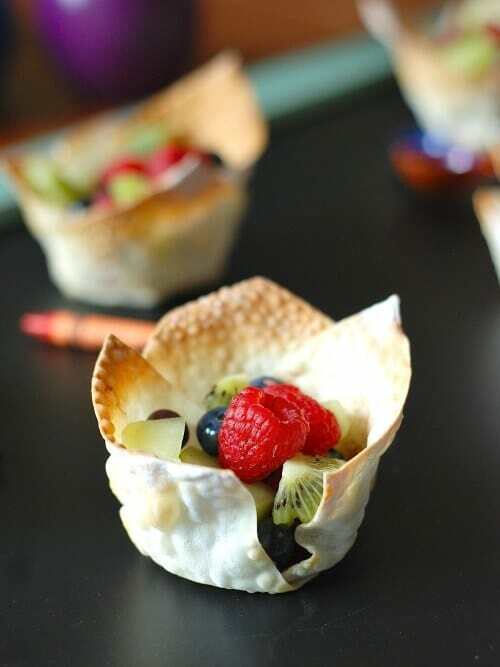 Such a neat idea Tanya, love these bites and so great for summer for the kids! 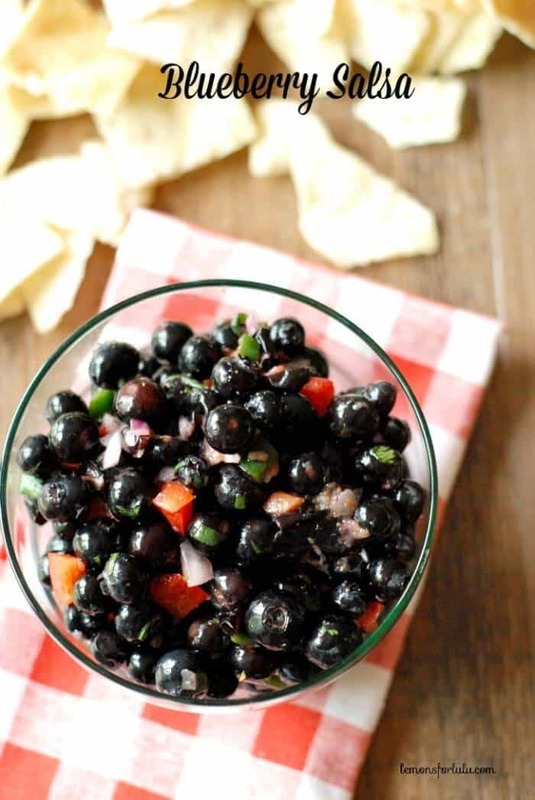 What a great appetizer to take to parties! I found you over at Pint Sized Baker’s Two Cup Tuesday party. I host Tickle My Tastebuds Tuesday and would love it if you linked up this recipe. I’m sure our party goers would love it as much as I do. Here is the link http://bit.ly/1l4cu0j. Have a wonderful day!! I love this idea. I am always trying to be more creative with appetizers but then I will go to my usual items. I need to remember this so that I am not always doing the same thing. Thanks for sharing. Okay, these are just TOO CUTE!! My boys would love these – pinned of course! They were definitley fun to eat Jen! How fun and cute are these! Love em! What a great party idea! Cuts down on the messy a dip bowl creates! I love when you can eat your plate too! I stumbled onto this recipe. 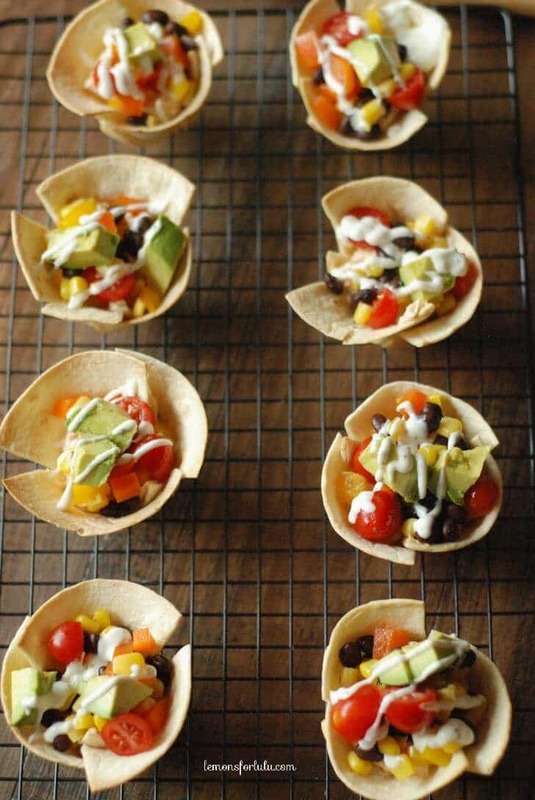 It looks really good, easy, and like a fun way for kids to eat tacos a little differently. But I was shochocked at the calorie and the fat content. Hope those are mistakes. I’m think I’m going to have to try to cut it down. Any suggestions? Yes it is a mistake the calorie listed was for the entire batch. It looks great! can I have a nutrition facts? and how much serving size for?